BEST BLOCK IN HELLS KITCHEN!!! 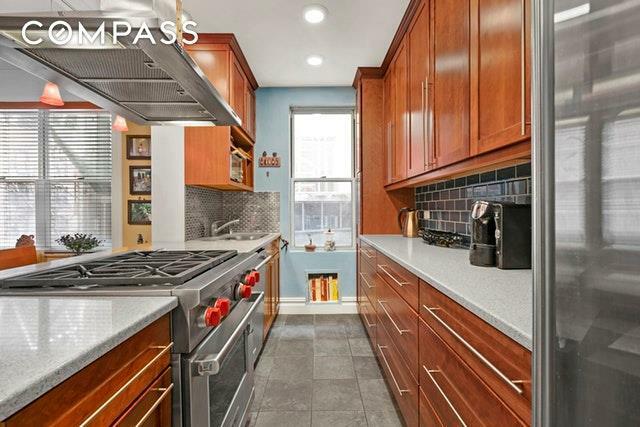 Move right into this beautifully renovated 2 bedroom, 2 bathroom home boasting three exposures. As you enter through a closeted foyer, you will be immediately drawn to the chefs kitchen fitted with Wolf gas range, Sub-Zero appliances, and an abundance of storage. The open floor plan features large living and dining areas - great for entertaining! You will note that the apartment has been beautifully restored to include all of the best pre-war charm; crown and base moldings, high beamed ceilings, and graciously proportioned rooms. The apartment is wired for sound and video. The master bedroom is generously sized with an en-suite bathroom and large walk-in-closet. The second bedroom is identically sized but has a door separating the bathroom so the second full bath can be usable by guests. 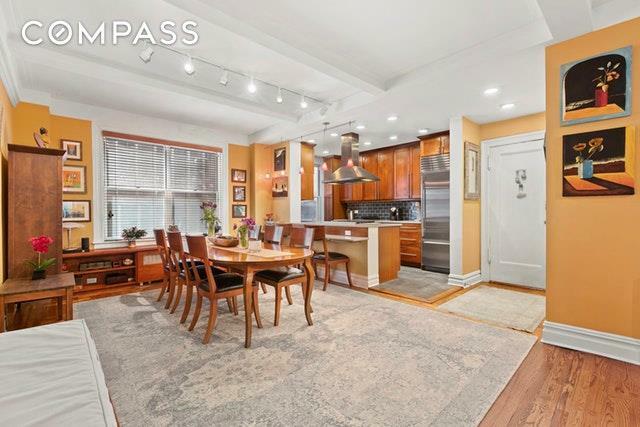 345 West 55th Street is a beautifully appointed pre-war co-op located on one of the most coveted blocks in Hells Kitchen! 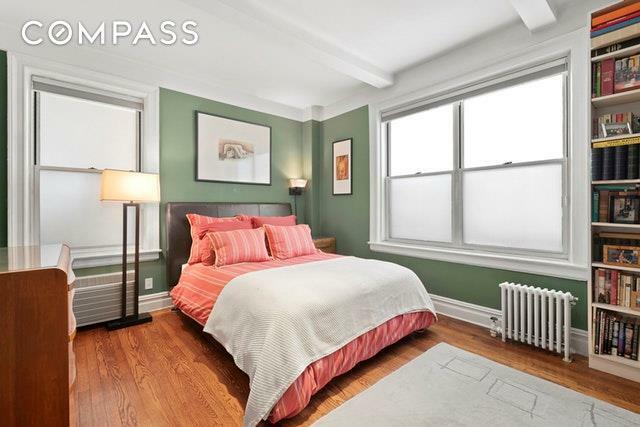 Originally built in 1919, this pre-war gem boasts charm and elegance throughout. The building has a part-time doorman (2PM to 6AM), a live-in super, full-time porter, bike storage, recently renovated laundry room and lobby, and is pet friendly. 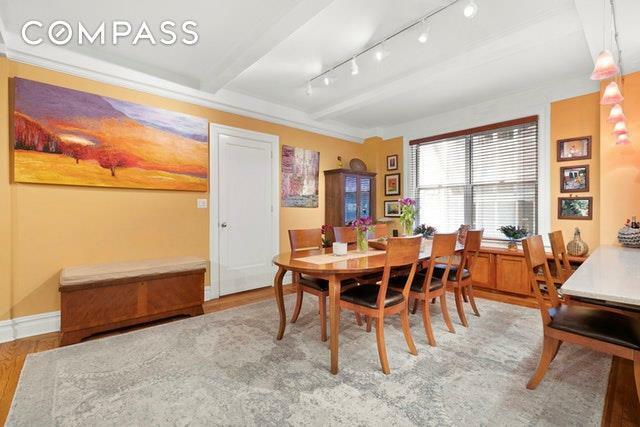 Unbeatable location close to Columbus Circle, Central Park, Theater District, Carnegie Hill and the citys best shopping and top rated restaurants. Columbus Circle transportation hub is just a stone's throw away with access to the A, C, B, D, N, Q, R and 1 trains. Owners are eligible to join the renowned 55th Street Block Association, recognized for lighting the blocks trees every winter, planting flowers in the tree beds in the spring, throwing a block party on the Fourth of July, and even hosting a Puppy-Parade in the fall!